Given the hassle in removing the rad, replastering, redecorating...I'd always play for safety and use Blue Grit. You only need to go to the expense of Blue Grit if you have a smooth surface, as the grit in it provides a key, but this wall looks like it's plenty rough enough to grip plaster. I would use some Blue Grit instead of PVA. Thanks for that, have done a fair bit of plastering so will give it a go. I could always go back to your plan B. Make sure you remove all the lose plaster then give it a wash of one part PVA to 5 parts water. Let that dry overnight then give it a coat of four parts PVA to one part water and, whilst that is still tacky, skim over with multi finish plaster. Make sure you get the wall absolutely flat, large tiles are completely unforgiving of any out of true. 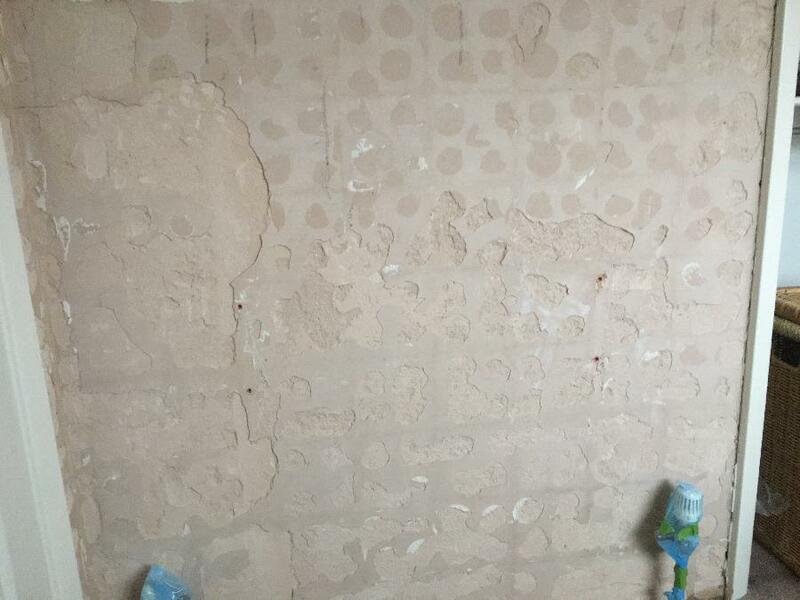 Alternatively, if you are going to tile the whole wall and your plastering skills are not perfect, you could glue a tile backing board to the wall. After removing tiles have ended with most of the finish plaster coat coming off, the bonding coat still sound. If I pva first would it be ok to skim coat before re-tiling? Am bit concerned as the tiles we have brought are quite large and dont want then falling off later.